We supply an exquisite range of frozen buffalo omasum that is extracted from buffalo''s stomach part. This is offered in spherical shape and packed in a hygienic condition. 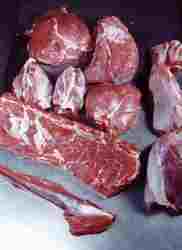 This part of meat provides high protein and nutrient. We are one of the leading manufacturers and suppliers of a wide variety of high grade, hygienic and superior quality processed meat products. Our products are widely accredited for their tenderness, freshness and high shelf life.